Sonos Inc. will launch its new “voice-controlled speaker” in Canada without any promise for support from Amazon Alexa, according to the connected speaker maker. The Sonos One will be available in Canada on Oct. 24 as well, at a price of $249, but will not support Alexa in the country until Amazon officially launches the smart assistant to the region. Sonos says there’s no timeline for that available. 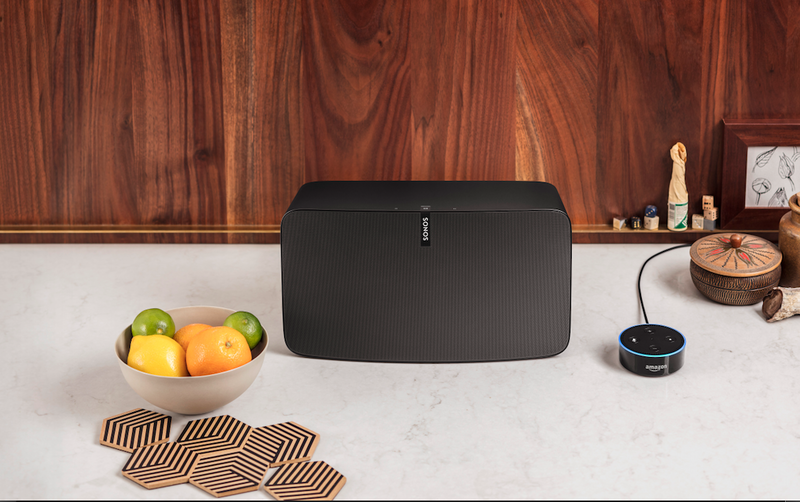 “Alexa is not available in Canada yet, but we know eventually over time that it will be available to the Canadian market,” said Jenisse Curry, global public relations manager at Sonos, in a phone interview. With the Sonos One, Sonos becomes the first commercial company to support multiple voice-activated smart assistants. When the speaker becomes available Oct. 24, it will support Alexa in the U.S., Germany, and the U.K. Then in 2018, Sonos says it will add Google Assistant to the Sonos One. Google Assistant is available in Canada and Google Home launched to the market in June, so it’s likely Canadians would get access to that assistant on the Sonos One at the same time as other countries. The integration with digital assistants doesn’t stop there. Sonos will also support Apple’s AirPlay 2 in 2018, which will allow it to take commands via Siri. A user could ask their iPhone to play music over their Sonos speakers and also issue voice commands to control their speakers through Siri. Sonos’ agnostic approach with web services doesn’t stop at smart assistants. Soon users of Pandora and Tidal will be able to control Sonos directly from their music app, as will the users of Audible, iHeart Radio, and Kuke Music in early 2018. At present, only Spotify users get this sort of convenience with Sonos. That sort of extensibility seems likely to continue as Sonos plans to launch a Developer Platform Expansion and Certification program in 2018. It’s opening up its developer program to deliver APIs to anyone that wants to build an application using the Sonos platform. Sonos partners will be able to earn a certification that allows them to use a “Works with Sonos” badge. Early partners that will be sporting that badge include Wrensilva, TunesMap, Lutron, iPort, Wink, Yonomi, and Enno.